AN ECO-AUDIT of Ireland’s shoreline got under way this week with an appeal by Coastwatch co-ordinator Karin Dubsky for more people to get involved in “citizen science”. The latest Coastwatch survey marks the 25th anniversary of the first such audit of the shoreline – both North and South – in autumn 1987, which was held in collaboration with The Irish Times. Uncontrolled fires caused more than €7.5m of damage to Irish forestry in 2011, one of the worst years on record. With the legal burning period now open, landowners are being warned about the dangers of uncontrolled burning. "Fire is a powerful but dangerous land management tool which needs to be used with skill and understanding if it is not to do more harm than good," said Teagasc countryside management expert, Catherine Keena. "In the right hands and with the right preparation, fire can enable rapid and cost-effective management of unwanted vegetation. "But uncontrolled burning leads to the destruction of fragile habitats and can place lives and property at risk." Ms Keena was speaking after a series of countryside management events organised for farmers in Mayo, Waterford and Tipperary at the start of the burning season. She told farmers that the preferred method of control for upland vegetation was grazing at a sustainable stocking rate which does not result in over- or undergrazing. However, where vegetation has become too strong and mechanical cutting is not an option, controlled burning during the burning season may be warranted. None the less, landowners must adhere to the correct principles of controlled burning. "First, it is illegal to light fires between March 1 and August 31," Ms Keena told farmers. "Secondly, a programme of burning on a number of small areas rather than one large area will result in a patchwork pattern that can benefit grazing and wildlife such as grouse. "No more than 0.5ha should be burning at any one time." nBoth the local Fire Service and the environment section of your local county council must be informed of your plans. nIf you intend burning within one mile of woodland, you must notify the owner and your local garda station. nWithin designated areas such as Special Areas of Conservation or Natural Heritage Areas, contact NPWS to check if permission is needed for your site. nBurning should only be carried out by persons with adequate training, knowledge and experience in managing safe and controlled burning operations. Farmers who attended the recent course in Rathgormack, Co Waterford, held in conjunction with the Fire Service, will receive a Fire Awareness Certificate from Coillte Training. 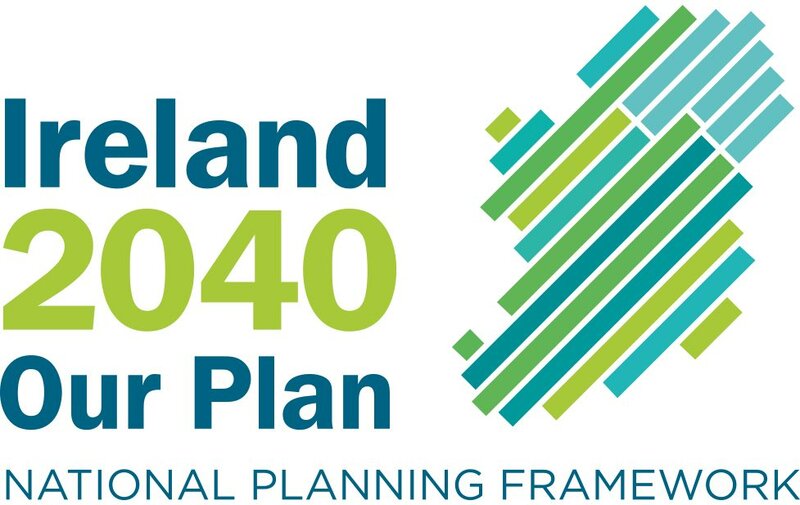 The serious challenges involved in regeneratinng and protecting Irish town centres will be addressed at the Irish Planning Institute's autumn conference in the Gibson Hotel, Dublin, on October 5. Titled 'Unlocking Town Centre Potential -- New Developments in Retail Planning and Town Centre Management', expert speakers will explain recent trends in retailing and town centres and describe how active town centre management can lead the way in regenerating town centres and shopping streets. "The need for a comprehensive, multi-layered and multi-disciplined response to the challenges facing Irish town centres is central to the revival of the Irish town", explains Joanna Kelly, president of the Irish Planning Institute. "Vacancy rates in the majority of Irish towns, in particular provincial towns, have seen a dramatic increase in the past year. Financial difficulties and uncertainty surrounding budgetary measures have damaged consumer confidence and retail sales. "When this is combined with unaffordable rents and the rise of new sales channels, shops in city and town centres are being squeezed out." The closure of just one premises in a town centre has a knock-on effect because neighbouring retailers are affected by the consequential drop in footfall, she says. The decline in smaller shops and the rise in shopping centres and retail warehouse parks on the periphery have also multiplied the demand for car use in an age of increased fuel prices and greater awareness of the need to reduce transport emissions. Town centres are the heartbeat of towns, serving the needs of local communities, acting as a hub for commerce and enterprise and representing a significant tourist attraction. Nearly everyone depends on them for access to shopping, entertainment, leisure, public services and transportation and they act as a political and cultural focal point. However, the challenging economic environment has impacted on these centres nationally and internationally. If retailers want to maintain competitiveness, they must implement strategies to help them continually adapt to the dynamic marketplace. Similarly it is not sufficient to simply preserve existing town centres, it is also vital to take positive action to promote and manage them. "This is recognised in the Department of Environment, Community and Local Government's recently revised Retail Planning Guidelines. Its objectives set out in the Guidelines include promotion of both greater vitality and viability in city and town centres," Ms Kelly says. Amongst the issues to be addressed are: accessibility, public transport, parking, culture, site assembly, the quality of buildings and provision of safe, vibrant public spaces. The shift to internet retailing also has significant implications. Active Town Centre Management and an appropriate diversity of uses based on sound planning principles can transform town and city centres into high quality, healthy places with both day-time and night-time economies. Such town centres are inviting places leading to longer stays by shoppers and visitors and increased spend per head. THE Abbey Theatre has reversed plans to move to a new site and instead bought an adjacent building to expand. Theatre authorities originally intended relocate to a new site in the Docklands or GPO. 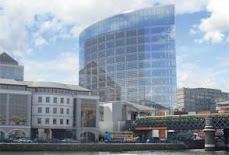 But today the board said it had purchased the building at 15-17 Eden Quay, which fronts onto the River Liffey and is located beside the current theatre. The plan is to redevelop the theatre at some point in the future. In September 1963, President Éamon de Valera laid the foundation stone to the Abbey Theatre on its current site at 26 Lower Abbey Street. The new building, designed by architect Michael Scott, re-opened its doors to the public on July 18, 1966. A theatre had existed on the site since 1834. Abbey director Fiach Mac Conghail said the purchase of the building was a “common-sense solution” which would secure the theatre at its current site. “This is a proud day for the Abbey Theatre and a testament to the vision of our board and my management team,” he said. The aging building is considered inadequate to meet the needs of actors and audiences, and has issues with disability access and health and safety standards. The Abbey was forced to temporarily relocate to the O’Reilly Theatre in Belvedere College for nine weeks this summer while works were carried out to remove asbestos. The biggest road salt storage depot in Cork is to be built on a strategic site on the city’s northside. However, city engineers say it will not be ready in time for this winter season. They hope to issue tenders for the construction of the salt barn within the next few weeks in the hope work could begin in early November. However, it will take several months to build and will not be ready to take delivery of salt stocks until next year at the earliest. The plans for the depot, which will be able to store up to 1,000 tonnes of road salt, were rubber-stamped at Monday’s city council meeting. The plans were drawn up under the Part 8 planning process and were advertised in July. There were no external submissions or objections to the proposed development. The project came before a full meeting of Cork City Council on Monday, when the project was given the green light. The 226sq m single-storey concrete building, which will have a a steel roof and a maximum height of 8m, will be built on lands next to Ballyvolane fire station, between Spring Lane/Ballyvolane Rd and the North Ring road. It will have an equipment storage area and will be monitored by an extensive network of CCTV cameras. Once it is completed, stocks of road salt, which were previously stored on an open-air site in Mahon, will be stored at this compound. Cllr Patricia Gosch (FG) said the structure had been well designed to blend in to the landscape. "This is a very positive development for the northside," she said. "It will help prevent serious road traffic accidents and hopefully save lives." Cllr Kenneth O’Flynn (FF) said the strategic location made "perfect sense". The project is being funded entirely by the National Roads Authority. THE REGULATORY framework governing private renting in Ireland is in crisis. The Residential Tenancies Act 2004 (RTA) aimed to modernise and professionalise the private rented sector. It set out the rights and obligations of landlords and tenants in a comprehensive way and established the Private Residential Tenancies Board (PRTB) to replace the courts in most disputes in the private rented sector. A former lord mayor of Dublin has urged Minister for the Environment Phil Hogan to “call a halt to the whole project” of building a municipal waste incinerator on the Poolbeg peninsula. Dermot Lacey, Labour Party leader on Dublin City Council, said all the officials who had pushed the €350 million project over the years should be invited to “take up gardening” (ie, early retirement). DUBLIN CITY Council wants to retain fast-track planning powers over the docklands area once the Dublin Docklands Development Authority (DDDA) has been abolished. The Government last May decided to wind up the authority after the Comptroller and Auditor General found serious shortcomings in the conduct of its planning and development functions. A MAJOR report compiled for the European Parliament has called for much stricter regulation of “fracking” for shale gas and oil, including a possible ban on the use of chemicals in the controversial process. It is is expected to be studied closely by Minister for Energy Pat Rabbitte and his advisers in the context of pending exploration licence applications by Tamboran Resources and other potential developers of shale gas resources in the northwest, particularly in Co Leitrim. A HIGH Court challenge has been launched aimed at overturning a finding by the Minister for the Environment’s that there was no evidence of planning irregularities in Co Donegal. The action has been taken by consultant planner Gerard Convie, who wants the court to overturn the Minister’s finding that there was no evidence of wrongdoing in relation to a number of complaints he made between 2007 and 2009 about allegedly irregular planning decisions made by Donegal County Council. LAND OWNED BY religious congregations in Dublin will be zoned to allow for residential development if proposals put forward by Dublin City Council are approved. Some 770 hectares of land on 186 sites across the city are being proposed for the new zoning. Campaigners against a proposed €160 million incinerator project for Cork harbour have accused the company involved of a U-turn after it began a consultation process with the local authority before a High Court challenge over the project. Cork Harbour Alliance for a Safe Environment yesterday accused Indaver of reneging on assurances given at a Bord Pleanála hearing. "We haven’t gone away and will fight this all the way through planning." That was the message last night from residents living near Cork’s Páirc Uí Chaoimh who are opposed to the €67m stadium regeneration. And they have questioned claims by the GAA that the revamped stadium — with a capacity of 45,000 — will generate €12m for the local economy on big match days. "That is an outlandish figure," said Save Marina Park spokesman Denis O’Regan. "That would mean every man, woman and child attending a game would have to spend over €266 each. "We haven’t gone away and our stance is still as it was. We are preparing detailed planning objections, and have engineers helping us. Everybody wants to see jobs, but these are short- term jobs." His comments come after Cork County Board officials and engineers unveiled details of the scheme. County board delegates were told that a planning application is expected to be lodged with Cork City Council in October and the project will create up to 400 construction jobs. Pending the outcome of the planning process, the GAA hopes to break ground late next year, with completion due in 2015. The GAA also plans to build a "centre of excellence" on a parcel of land next door which was once part of a larger site earmarked for development as a 100-acre public park. Donal Healy, CEO of Cork Business Association, welcomed the plan. "This year, the city enjoyed a financial spin-off from the parking initiative between the Cork County Board and Q Parks on match days, where parking in its car parks was available for €5," he said. "This was especially attractive to families coming in early to enjoy the city’s hospitality and retail offering. A €10m to €12m spend around match days will help maintain and secure employment." Joe O’Brien, director of the Construction Industry Federation, said the project will be a massive boost for the sector. "This will enable those presently in construction employment to remain in the industry and hopefully reemploy some of those who were forced to leave the industry due to the downturn," he said. A company that has withdrawn a controversial planning application for a waste depot on the edge of Waterford City wants the public to email it with alternative site suggestions. Oxigen Environmental Ltd, which operates a waste and recycling collection facility in Waterford, had applied to the city council for permission to develop a waste and civic amenity facility on a site close to a major industrial park and Waterford Institute of Technology. However, a number of major employers, WIT and some local residents objected to the project, concerned that the 2.8 acre development would lead to traffic congestion, odours, litter and vermin problems. A decision on the planning application was due to be made this week but the company has withdrawn its application and is now seeking alternative sites. The facility would have had the capacity to process 19,000 tonnes of waste every year. Oxigen Environmental said that all waste unloading and storage would take place indoors, while waste which could cause odours would be carried away from the site within 24 hours of arrival. Oxigen director of communications Martin Harrell said yesterday there were "a lot of concerns," particularly from local businesses, about the plan. "We’re in the business of remaining in business and when you make a commitment to an area, you want to make sure it’s right. We listened to the concerns and we withdrew the application, it’s as simple as that." He said management from the company’s Dublin headquarters will visit next week to examine alternative sites but said he hoped people will email info@oxigen.ie with suggestions. "I put a call out to the people of Waterford. The sooner we can get a site, we can increase the number of jobs on offer and the number of services on offer." He said customer numbers were increasing "in the hundreds by the month" and the company is "here to stay". Among those who objected to the plan were EirGen Pharma, Genzyme, and Bausch & Lomb, who between them employ 1,800 people close to the proposed location on Waterford’s Old Kilmeaden Road. Two former mayors, Hilary Quinlan (FG) and Pat Hayes (Labour), were among four councillors to jointly object. WIT president Ruaidhri Neavyn said the institute feared the development would lead to "unpleasant odours" as well as an increase in traffic. RESIDENTS IN Co Dublin who complained that a private art gallery on Vico in Dalkey housed too few works of art “missed the point that the building itself and the grounds were the work of art and it was celebrating its emptiness”, according to a consultant’s report included with a planning application to turn the gallery into a private dwelling. Dún Laoghaire-Rathdown County Council received an application last Friday from Marie Donnelly, former chairwoman of the Irish Museum of Modern Art, for a change of use of the Donnelly Art Gallery on Vico Road to a private dwelling. Permission to challenge a decision by An Bord Pleanála to grant planning permission for a large-scale retail development at the site of a former military barracks in Co Cork has been granted by the High Court. Mr Justice Roderick Murphy yesterday granted leave to Leefield Ltd, SuperValu, Tramore, Co Waterford, to challenge the planning authority’s decision of July 6th granting permission for a retail store, cafe and staff facility near the former Murphy barracks at Ballincollig, Co Cork. AN BORD Pleanála has refused planning permission for an artificial ski slope and major leisure development on an environmentally sensitive site adjoining Dundalk Racecourse in Co Louth. An Taisce, which had appealed against Louth County Council’s decision to approve the scheme by Integrated Leisure Solutions (ILS) Ltd, welcomed the board’s decision, saying that the site “should never have been zoned for development in the first place”.